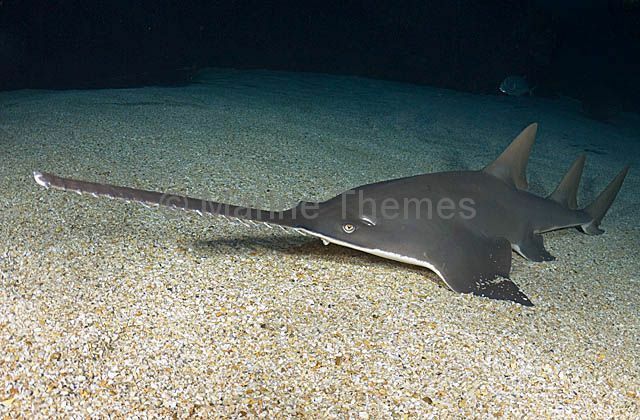 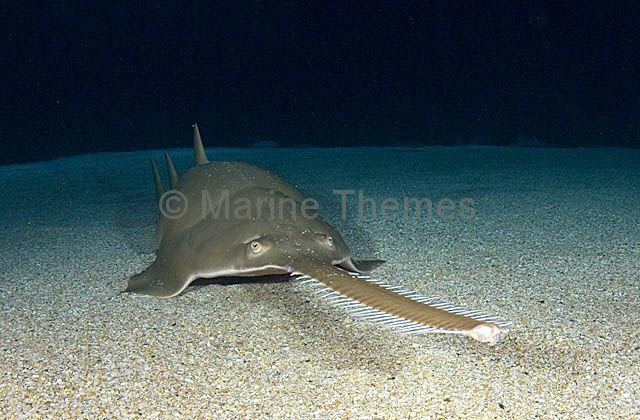 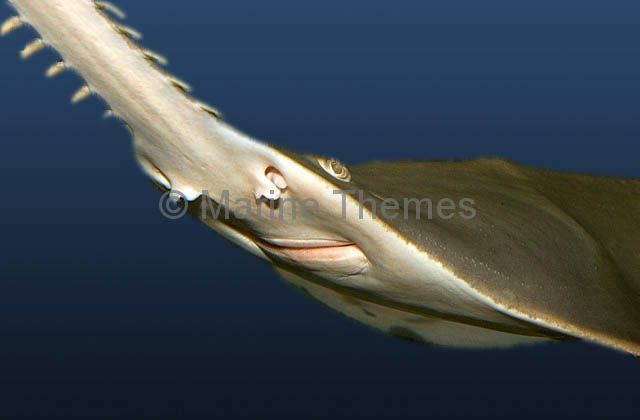 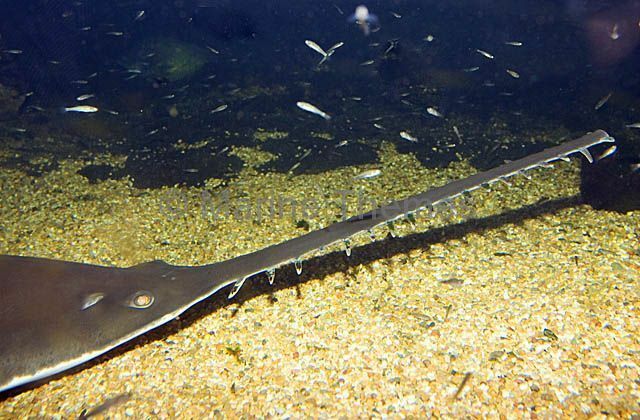 Smalltooth Sawfish (Pristis microdon) A member of the ray family resting on the seabed with snout up in attack and/or defence posture about to slash out at small schooling fish. 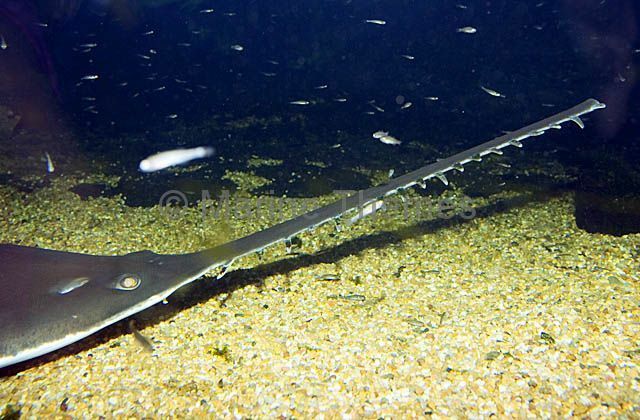 Smalltooth Sawfish (Pristis microdon) in aquarium. 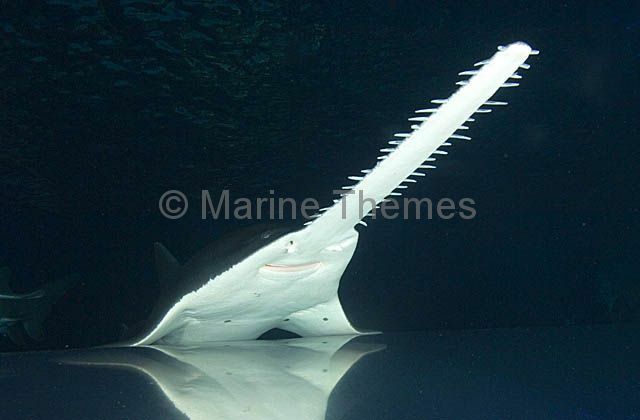 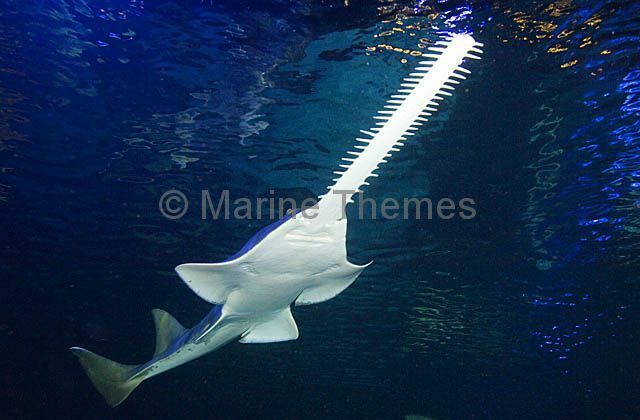 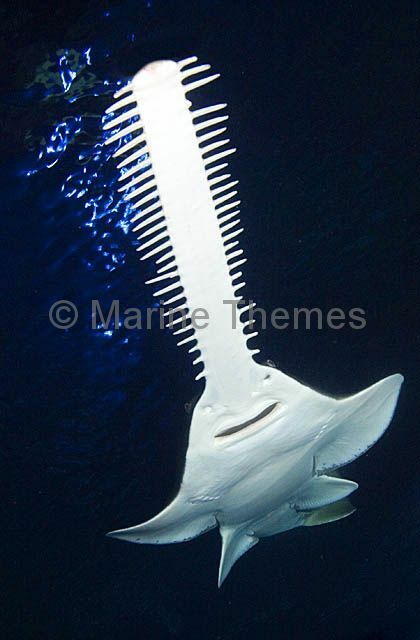 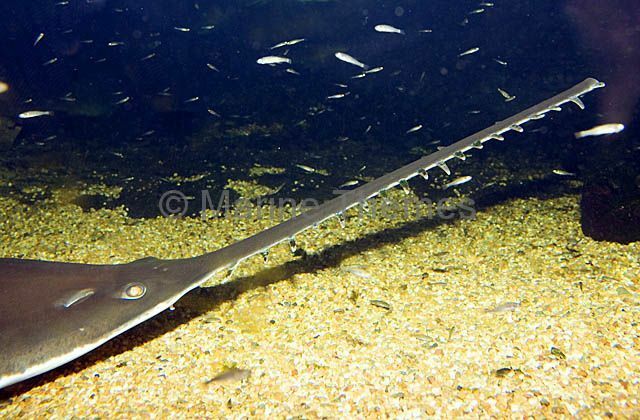 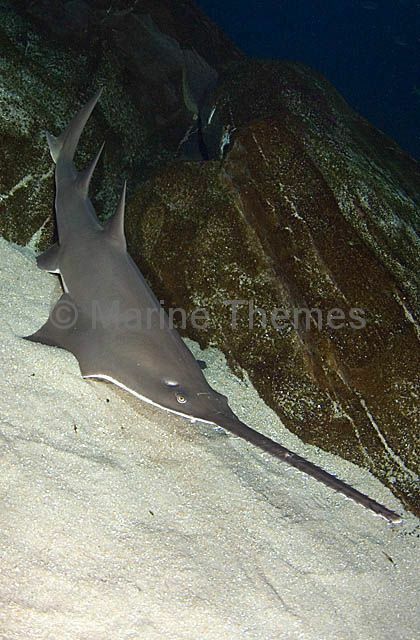 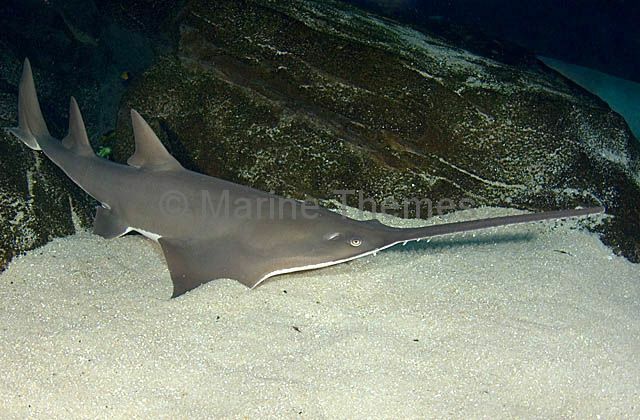 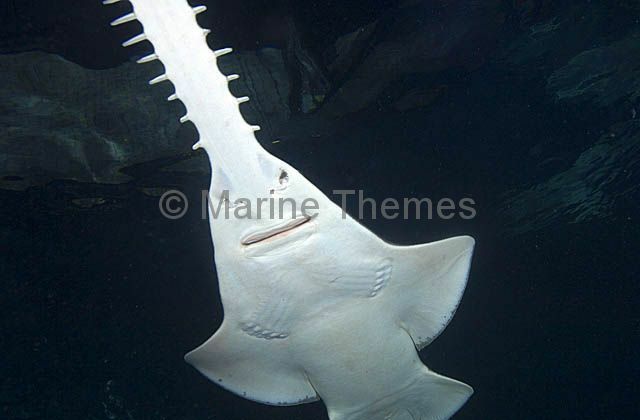 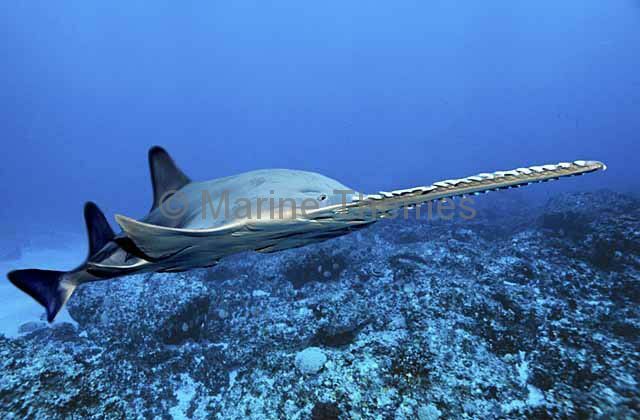 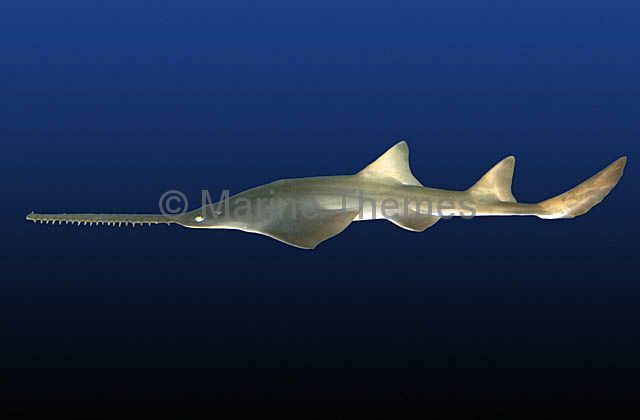 Smalltooth Sawfish (Pristis microdon), also known as the Largetooth Sawfish. 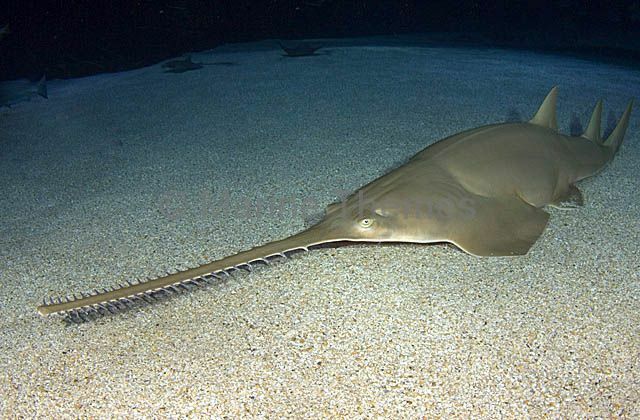 Latin name, Pristis, means "Saw" and microdon (contraction of "micro odon") meaning "small tooth". 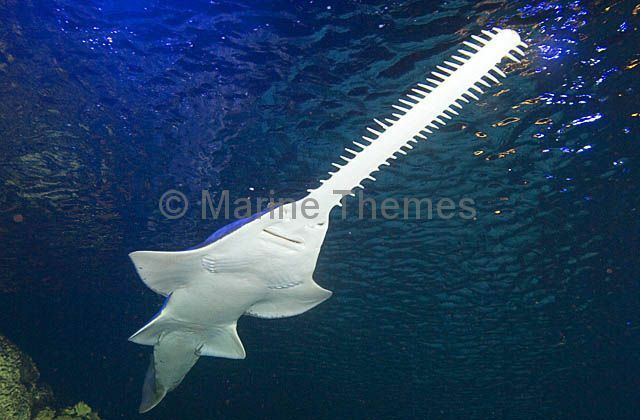 Inhabits both fresh and saltwater environments. 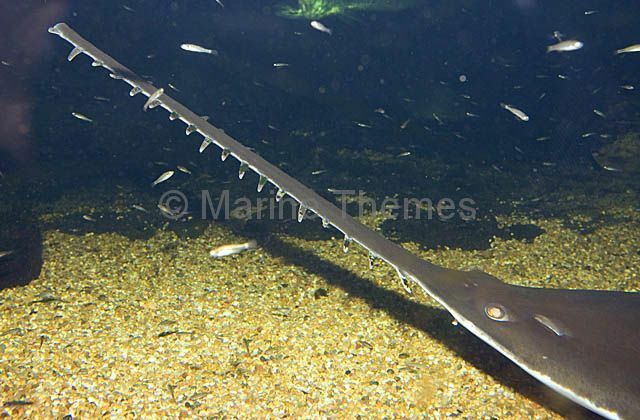 Green Sawfish (Pristis zijsron) Inhbitant of salt, brackish and freshwater habitats in the Indo-Pacific from India to Australia.